winter is coming (shout out to all my game of thrones watchers and/or readers) which means it’s time to get your boot game in order. 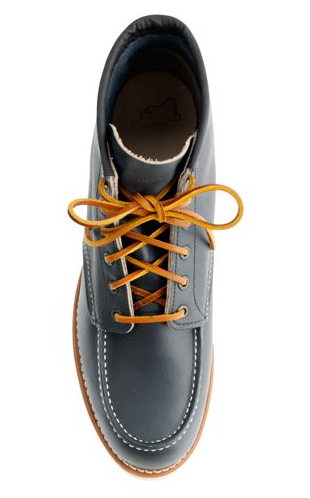 if you’ve been reading this blog for a while, then you know my obsession with red wing boots. i probably buy 2 or 3 pairs a year and then sell them on ebay when i decide i want a different model. i’m fickle like that – no apologies. the downside to my fickleness is that i don’t spend the requisite time to break them in, but who cares they still look cool. 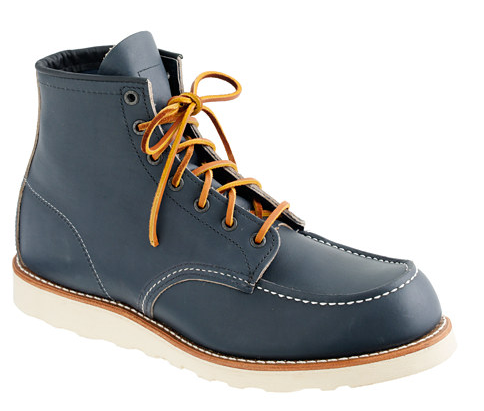 if you’re thinking about making a red wing boot purchase, let me recommend these moc-toe boots in navy portage. 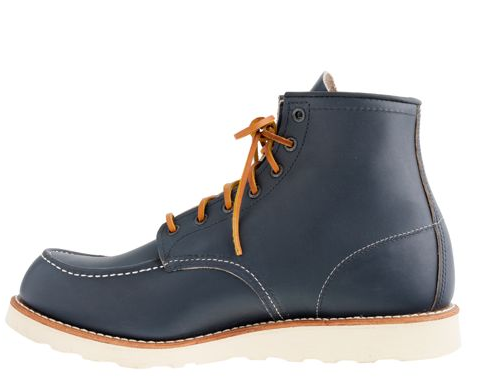 they’re basically the classic 875 model, but in navy. you can purchase them here. don’t forget to size down .5.